I’m 22 going on 23 going on 50, and being as highly strung as I am, my skin is always the first to take the brunt. So I’m starting to think about ageing and although I’ve used daily SPF since I was 17, I’m beginning to look for more powerful and targeted age prevention treatments. 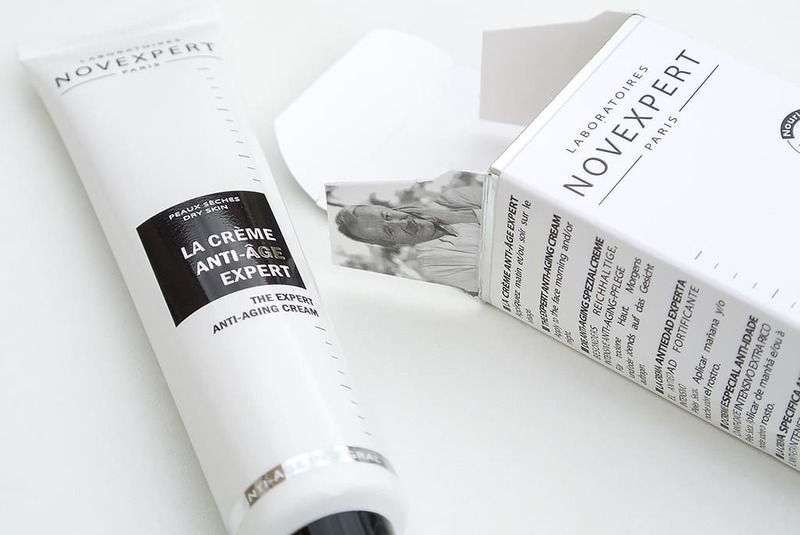 Novexpert The Expert Anti-Ageing Cream is a great place to start when it comes to premium anti-ageing. Its formulation is rather gorgeous with a thick/rich yet non-greasy texture; it sinks into my skin without a trace and leaves it feeling cushioned and soft. One of the first things I noticed when taking the product out the box was how heavy it was. The cream is very dense but as I’ve already pointed out, completely non-greasy. The formulation is quite exciting with a whole host of goodies formulated in collaboration with Dr. Lintner of the Novexpert Scientific Commitee. As far as hydration and moisturisation goes, there’s shea butter, macadamia nut oil, calming aloe vera, deeply hydrating hyaluronic acid, xylitylglucoside and olive oil. 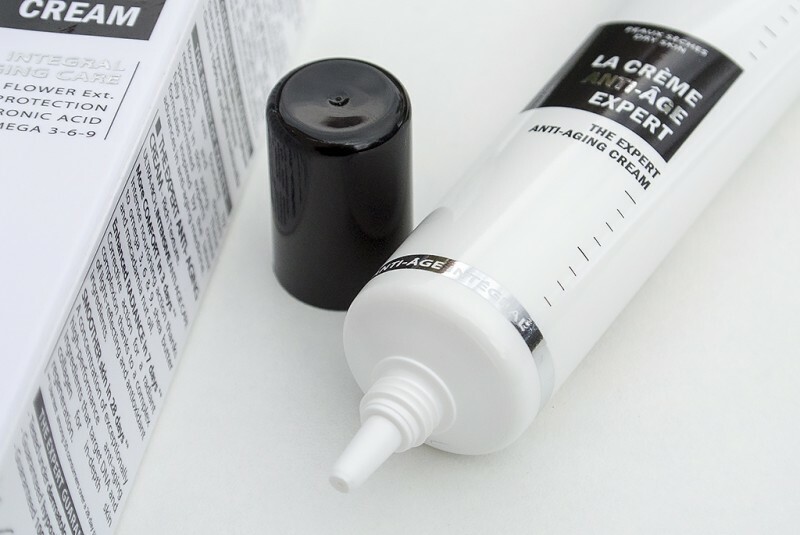 The cream is also formulated with Omegas 3, 6 and 9. Omega 9 is often just a bit of an oversell as our body can produce copious amounts of this essential fatty acid in the blink of an eye; however 3 and 6 are a different affair. These fatty acids are hugely beneficial of maintaining skin’s suppleness allowing each cell to more effectively retain moisture through a natural film coating. Now I’m not 100% sure how, as the box claims, anti-oxidants boost radiance as they’re simply minerals and vitamins that lock hold of volatile, damage-causing molecules; however the light reflecting particles (mica mineral extract) give an immediate and all-day luminance to the skin. Don’t worry though, it’s very subtle and natural, unlike many products I’ve tried that can make you glow like a disco-ball. Instead of labelling anti-oxidants as providing radiance, I’d have opted to point out the fact that Novexpert The Expert Anti-Ageing Cream contains daisy extract (helichrysum italicum leaf extract) which is massively brightening, radiance boosting and is a featured brightening ingredient of L’Occitane’s Immortelle Brightening collection. 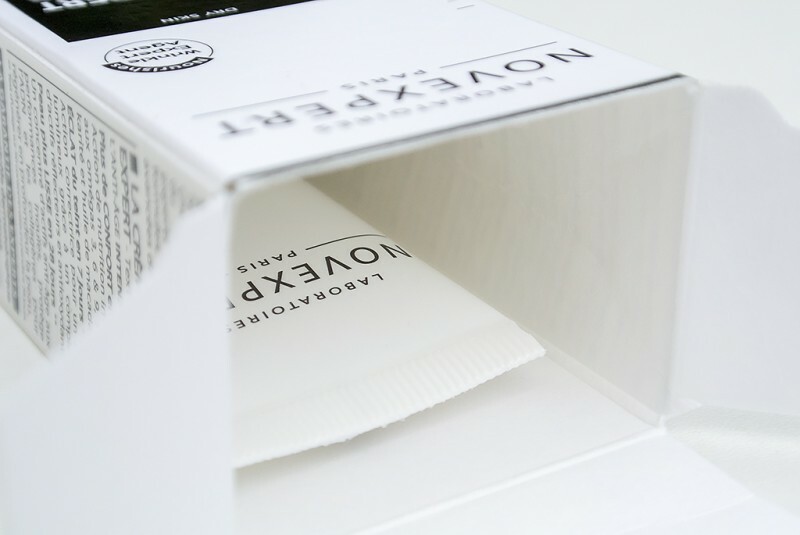 Novexpert The Expert Anti-Ageing Cream contains no SPF and that’s probably my only hangup; however, it does mean I can use it as a deliciously rich night cream that leaves skin much softer by the next morning. A fun marketing fact actually, and it’s here where I’m so pleased that Novexpert breaks the cycle, but anti-ageing stamped on a product often only refers to the fact a product contains sun protection as this defends against photo-ageing ergo, anti-ageing. All in all, Novexpert The Expert Anti-Ageing Cream is a really nice product. It’s packaging is convenient, it feels great on the skin and has a gorgeous, hypoallergenic formulation. After searching, the best price I found was £28.35 with free delivery from a store called John & Ginger; if anyone’s shopped with them before I’d love to hear your recommendations. This article first appeared on MANFACE written by Thom Watson. It was published on Sunday 15th September 2013 and was last updated on Monday 3rd April 2017 at 3:28pm. It's categorised under Anti-Ageing, Moisturise, Novexpert where you'll find more related content.